The SSTC was created in Bedfordshire in 1915 by the amalgamation of the Signal Depot (Aldershot) and Reserve Signal Companies. 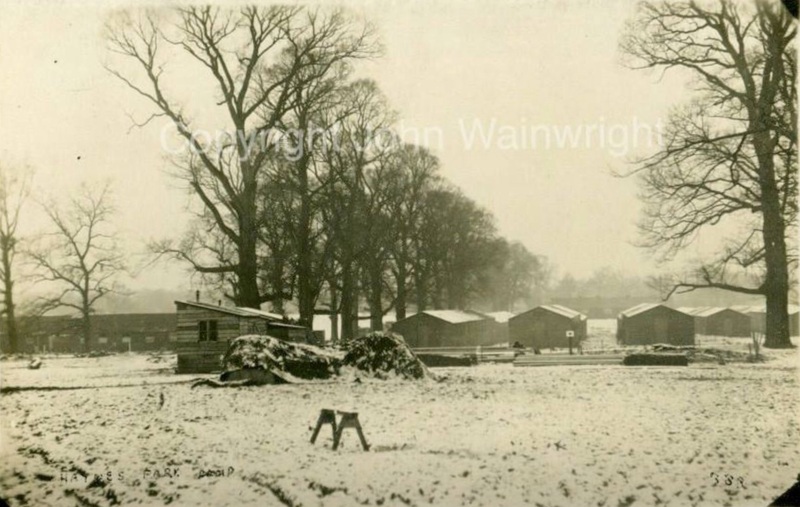 It had a number of depots, including Haynes Park which was responsible for riding, driving, saddlers, switchboard operators and the cadet battalion. Bedford A depot was the recruits depot, Bedford B was for signalmen, field linesmen and trench work, and Bedford C for operators. The SSTC headquarters was moved to Bedford in October 1917. 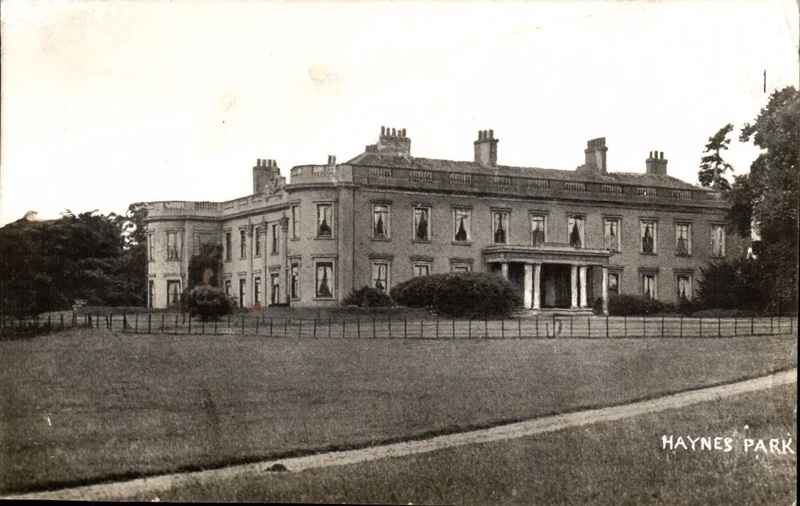 The Bedfordshire Times and Independent of Friday, 7 July 1916 reported, in news from Wilstead, that the men who had been encamped near the Cross Roads left on Friday, and on Tuesday some of the Welsh signallers from Bedford and Haynes Park were drafted here. 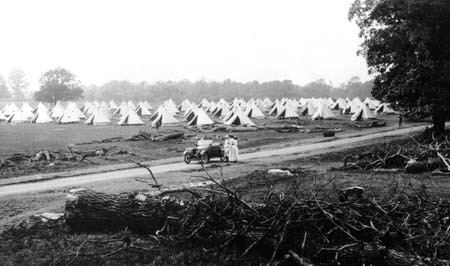 Haynes Park army camp achieved some notoriety in 1919 when, on 9 May, a young girl from Jersey called Nellie Rault, serving with Queen Mary’s Army Auxiliary Corps (QMAAC), was murdered in woods near the camp. The crime has never been solved. 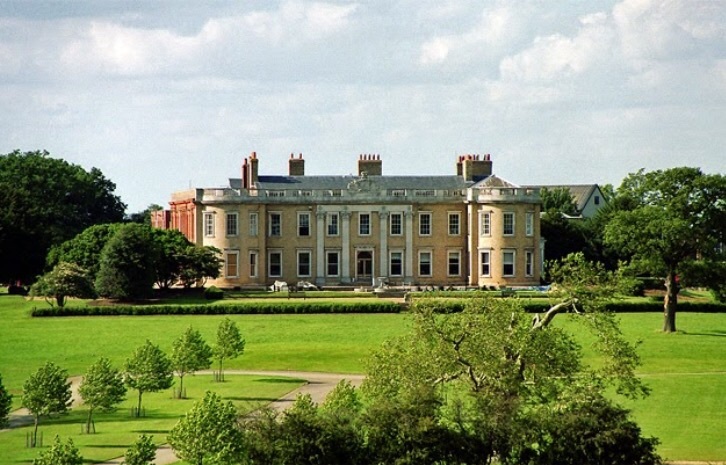 Liz Walton has written about Nellie’s background, murder and subsequent event.